A black and white large format negative of Charles Ruddy posing for a portrait. He is wearing a suit and tie. 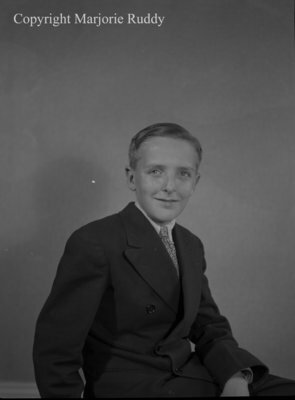 Charles Ruddy, June 1948, Marjorie Ruddy. Whitby Archives A2013_040_1181.